We are transitioning to a new platform to communicate with our members. 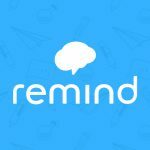 The Remind app (available on the Apple and Android app stores) will be used to send timely announcements to our membership. There are a variety of ways to subscribe to our class, and you may elect to receive either text message alerts (recommended) or email alerts. 3) Download and open the Remind101 app from the Apple or Android store. Click “Join a Class” from the menu, and enter “cowboym” (without the quotation marks) as the class code.